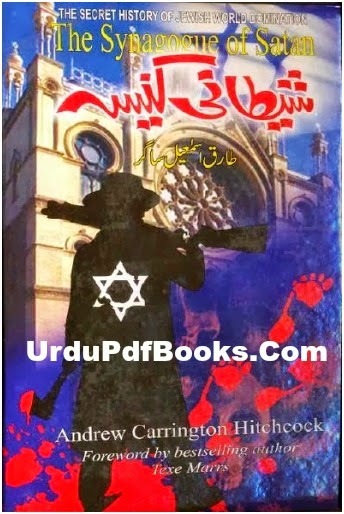 Shaitani kaneesa urdu book is authored and titled by carrington hitchcock and translated by tariq ismail sagar. This thrilled book contains the size of 6.68 mb and labeled into jasoosi urdu books and tariq ismail sagar labels. This book which you are about to read, if it was written by muslim author, people called author terrorist before its publishing, but Allah is very kind, nothing is impossible for him, he took carrington hitchock for writing this great book. Author tried to open the eyes of peoples and bring the real face of those demons who don't want peace in world. Tariq ismail sagar says i got shaitani kaneesa book from one of my friend. When he started reading book he was surprised, because author showed the real and dirty faces of some peoples who want to occupy all over the world and want to bring their own religion and rules. Further ismail sagar says, i was astonished when did i read about privatization in pakistan. English author told the dangerous reason of privatization that pakistan government is doing in country. What are the reasons that can't make pakistan a developed country even our country has all the needs and facilities then why our government wants privates company and offices. When the peoples of pakistan are commiting sucides if we are fulfill in economy. What was the purpose of nine eleven and why did seven seven done?. Why evil kaneesa was active for afghanistan, iraq and now for pakistan. Who was mustafa kamal ataturk in reality. How IMF and world bank is occupying all the third countries economy. These all topics are revealed in this book. I am really sure if you don't read this urdu book, you will feel a empty space in your life. Click on the below mediafire, 4shared and dropbox link to download shaitani kaneesa urdu pdf book read online free. AaliJaaH is a professional blogger, web designer and M.Cs Student at Balochistan Universty Quetta,Pakistan.